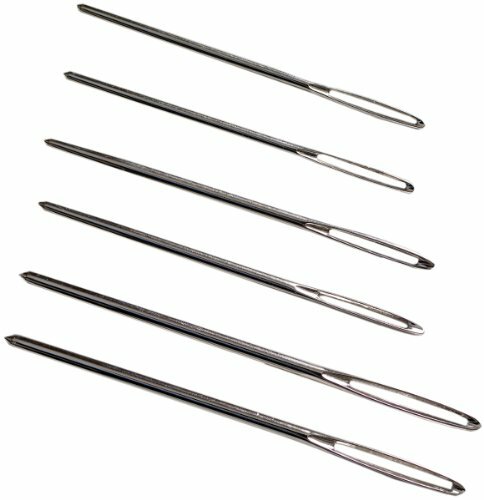 These are, hands down, my favorite needles. 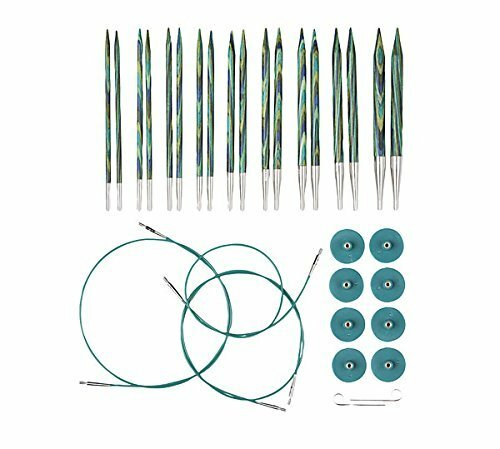 They're beautiful, the joins are smoother than any other interchangeable set I've ever used, and they're very high quality. I've not had one break or split after a year and a half of regular knitting, and they've gotten prettier with use. The starter set is pretty complete, but you can also add individual components as you need or want to. They don't go below a size US 4, I'm assuming because of the joins, but they sell individual circulars in smaller sizes. My grandma used them. Your grandma used them. There's a reason. These full-finger thimbles fit better, so they don't go sliding everywhere, and though they take a little while to break in, I find them more comfortable and durable than the shorter "coin" ones. 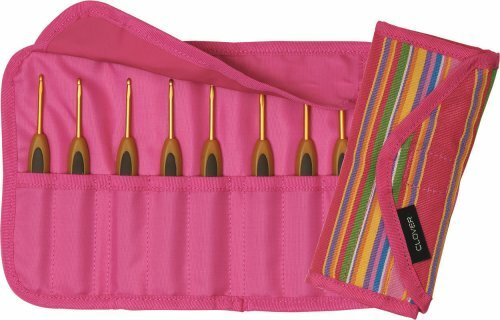 You may need something slightly heavier duty if you're doing a tough project, but for regular hand sewing and quilting, these are my go-to. Heavier is better when making baskets! 50 weight is too thin to make rope bowls; it will cause your stitches to skip and your thread to break. 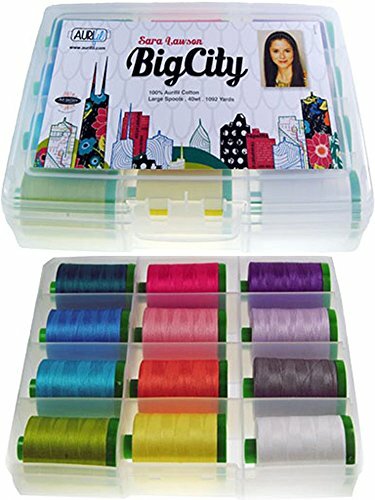 I find that 40 weight works best for me; this box has a great set of colors to get you started. Do. Not. Try. Rope. Bowls. With. Skinny. Needles. It will end in tears, and perhaps the bludgeoning death of your sewing machine. 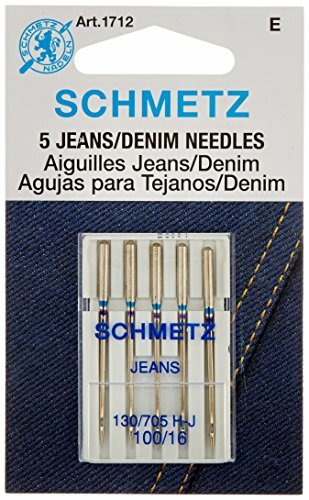 Use denim or leather needles, and change them often. This is not a case where you can get by with one needle for a few months; I change my needle out for every 100 ft or so of rope. I really like Schmetz; they're easy to find, they last a decent amount of time, and they're reliable. They also seem to break less than others that I've tried. I have a lot of trouble using regular crochet hooks for any length of time. These have a softer, wider handle that is easier to use for longer projects. The case is nice for storage, and it's easy to tell which hooks I've been using...or which ones I might be missing! I use white 50 weight for nearly all of my piecing. Sometimes if I'm using a lot of very dark fabric, I'll change it up, but white works just fine, assuming your tension's correct and your stitches aren't showing (if they ARE showing, a re-threading or tension adjustment might be in order). It's also a great go-to for quilting, as it will blend well with quite a lot of fabrics. All of my bowls and baskets are made with 3/16 - inch cotton rope, which you can most commonly find as clothesline. You may be able to find a slightly better price at your local Kroger, but supply can be limited depending on the time of year, or you may not live near enough to make going on a trek worth it. Or you might not want to carry 50 packages of clothesline up to the cashier! 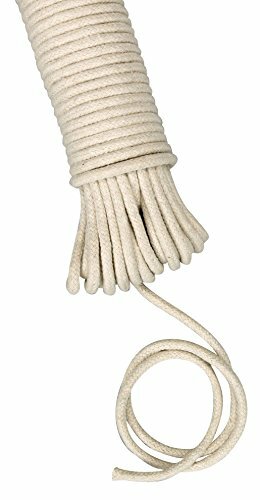 Amazon makes no judgements about what you may or may not be doing with 5000 feet of clothesline. This is the machine I use, and I really like it. 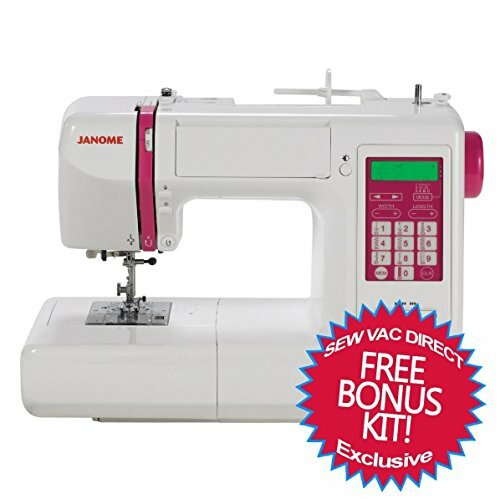 It sews smoothly and reliably, and has the most throat space of the lower priced home sewing machines. The motor is pretty powerful (I make rope bowls on it with very little difficulty), and it has a nice variety of stitches. I love to knit lace, and this is my favorite collection of lace patterns. 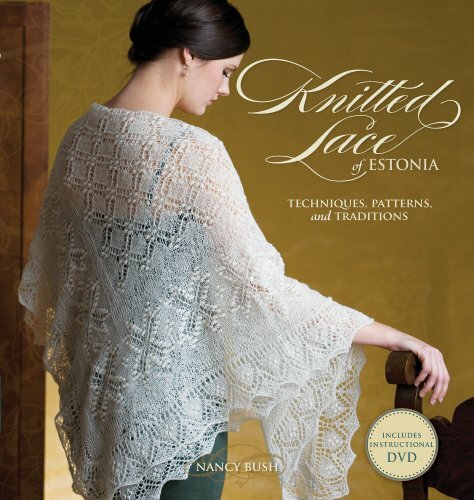 I've made quite a few of the shawls from this book to great success; the instructions are clear, and she includes a lot of really interesting information about the history of Estonia in general and Estonian lace in particular. Knupps are a little hard to get the hang of but they're really fun and provide an interesting texture to your lace. I've also, on occasion, just skipped the knupps, and still been happy with the final product. At some point in your knitting or crocheting life, you will need to weave in ends. I know, I know, but it's inevitable. 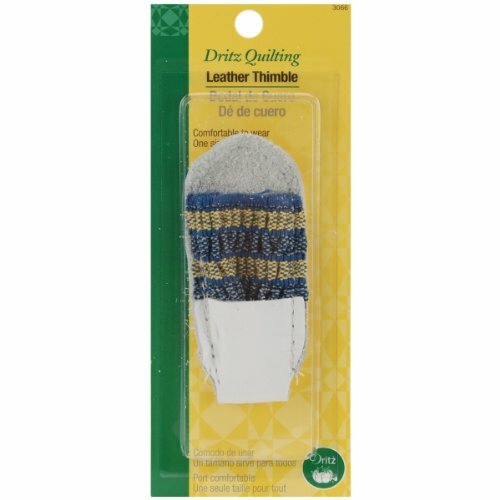 Do yourself a favor and buy straight metal darning needles for the task. The plastic ones don't hold up and aren't usually thin enough, and there's really no need for the kind that's bent at the bottom. Go with the basics here. Another great color for all over quilting, particularly if you use a lot of gray in your backgrounds like I do. Aurifil threads make very little lint. 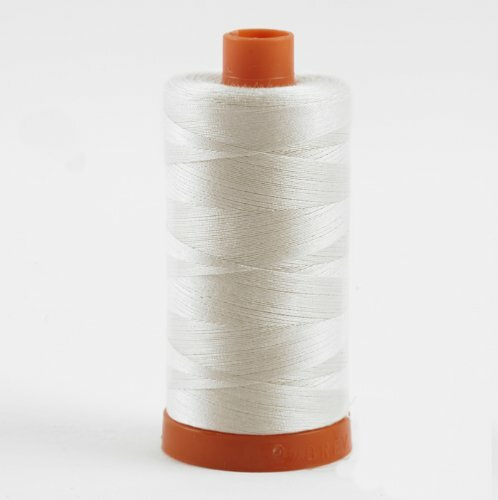 You can get away with cheaper thread, but you'll have an overall smoother experience if you invest in the good stuff!